Unrealistic & Surreal. Those are the words that come to mind if we think about the beauty of Banff National Park, Canada's 1st National Park and world's 3rd. The Park consists of unparalleled mountain scenery nestled in the heart of of the magnificent Canadian Rockies. It was a big bonus that our super cute couple, Morgan and Thomas, are locals. They knew some spots which are off limits for the regular tourists. The snow came early this year, so we could not go to some of the lakes with gorgeous views. 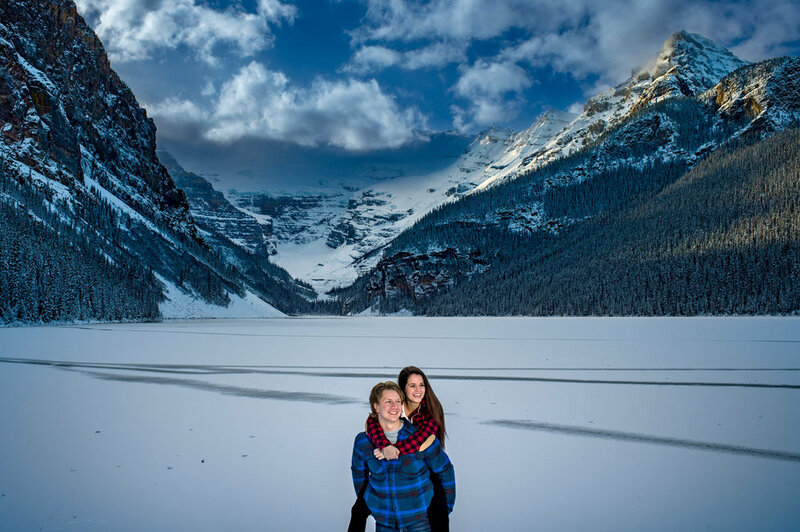 Lake Moraine was closed and Lake Louis was frozen. Even with snow the Park is beautiful beyond any description. Sharing some of the images we captured with this couple here. O' Banff, we are so coming back soon !